Bender cooks brunch for the Planet Express crew, and runs away after he learns they think his food actually tastes better as vomit. Riding the space trails as a robo (not a romo), he encounters someone who may just have what it takes to teach Bender to be a great chef. 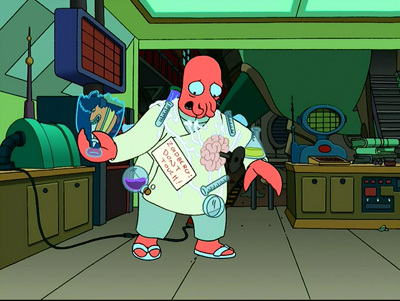 How Well Do You Know Futurama: The 30% Iron Chef? (if accidentally watched, induce vomiting).